For the second time in two days, an Apple iPhone battery exploded inside an Apple Store. 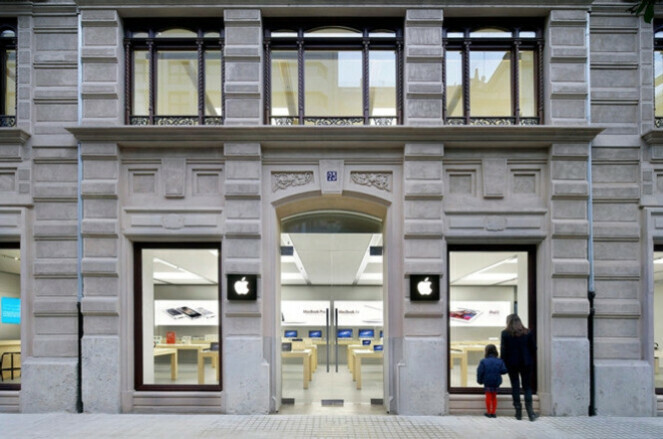 Today, a room in the Apple Store in Valencia, Spain was filled with smoke after a battery inside an iPhone unit being repaired caught on fire. Workers at the store smothered the flames and opened the window to let out the smoke. While three firefighters and police arrived at the scene, their presence was not needed. There were no injuries as a result of the blast, which took place at 1:30pm local time. On Tuesday, an Apple Store employee in Zurich, Switzerland received minor burns when a battery inside an iPhone caught on fire. All together, seven people were treated at the scene, although none required transportation to the hospital. Apple recently admitted that it throttled the speed of the CPU on iPhone 6 and later models. The company said it had to do this to prevent older handsets carrying weak and depleted batteries, from shutting down when facing complex tasks. As a result, Apple has reduced the price of replacing the battery on these models from $79 to $29 through the end of the year. Thus, many Apple Stores have been busier than usual replacing batteries, which might increase the possibility that explosions like these two could occur. So buying a new iPhone is the safest way? When they can't throttle your CPU anymore, they just enable the iBomb feature. It's just begin, how many more will explode as repairs start. This is about iPhones not Samsung. So stop trying to deflect. "Oh how quickly we forget..." I remember Samsung had a recall will apple, not in a million years. Apple really good at sweeping them under the rugs. Beside their fans probably have no brain lol. Well considering there were only 35 cases of the Note 7 actually catching fire, you might say the iPhone is more dangerous, Why?, well on YouTube there are more than 35 videos of iPhones going pop, if you then consider that the chances of this being caught on video is probably less than 1% then you can come to a very good conclusion that the number of iPhones going catastophic is far far higher than the number of Note 7 cases. You must have forgotten that Samsung recalled every single one of those phones and nearly went as far as turning them into paperweights with forced updates. Apple is going as far as charging you to replace what may be intentionally defective batteries. Ironically, yes. All silliness aside, cool fact: 99.999% of exploding/puffy iPhone batteries goes unreported. Wow! I'm just passing along the story. Would you rather that someone got hurt? I do not use an iPhone. 99% of the smartphones I have owned have been Android, and my current daily driver is the Moto Z Force Droid. With everything that is going on in the world, this battle between iOS users and Android users is ridiculous. This year, iOS and Android fans can both pick up a great phone with fabulous features. I'd be happy as could be with either the iPhone X or the Samsung Galaxy Note 8. Can't we just celebrate the amazing growth in smartphone features over the years? My passion for smartphones is why I do this job. Think about all of the changes we've seen in this industry over the last decade, and be happy that you were around to witness this. Alan F.
Alan, I would honestly say that I thought you were an all-out iPhone user. Lol. Jokes aside, best post I've seen this week! Ha Ha! I chose a different user name for my personal account. Alan F.
Funny how you post this, but your articles tell a different story. They tend to be iPhone biased. Maybe this is required to work for PhoneArena?! The X is a very good phone. It is the best iPhone yet. But Apple should have support both 32bit and 64bit apps. I have cool games that would have been awesome on that display, but Apple ruined that dream by not support them. Yet keep going up. If iOS is so advanced, why dn't it support 32/64, like Windows and Android. Excellent post Alan, and a no-pulled-punched, straight-forward article. Great work. Fake news, mine running like a champ, and little to no warm on my phone! Apple and Samsung want to be first in everything, so they do bad things. Which iPhones specifically had this issue? I thought oh crap when I read the headline. But actually it’s from replacing the battery’s. Probably a common risk for this since they’re not user replaceable and required little more effort. I worked in a store that replaced iPhone batteries, Apple and many 3rd party companies have done it for years, it's not a common risk. Battery is easy to disconnect, there is an annoying adhesive holding it in place, but unless you attack it with a knife like an idiot you should be fine. The Switzerland incident doesn't say the phone was in for repair. This is why every iPhone user should hurry and replace their battery!! Quick, before your phone implodes! LOLOLOLOL!!! !